Sickle Cell disease is an inherited disorder that causes a person’s red cells to change shape because of a chemical change in their hemoglobin (a substance that carries oxygen in the blood). This defective hemoglobin distorts the shape of the red cells forming crescents or “sickle” shaped cells. Sickle red cells lose their elasticity, become rigid and clog narrow blood vessels resulting in their destruction so the person becomes chronically anemic. Sickle cell disease is the most common genetic disorder in the US. 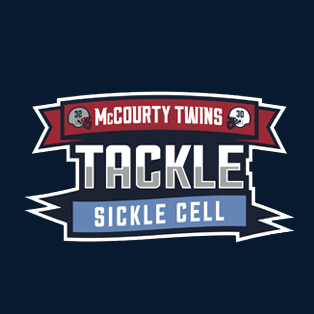 If both parents have the sickle cell trait, each of their children will have 1 in 4 (25%) chance of having sickle cell disease. About 100,000 Americans are thought to be affected with sickle cell disease. Every year another 1,000 babies are born with the disease. It also affects people from the Caribbean, Middle East, India and the Mediterranean.